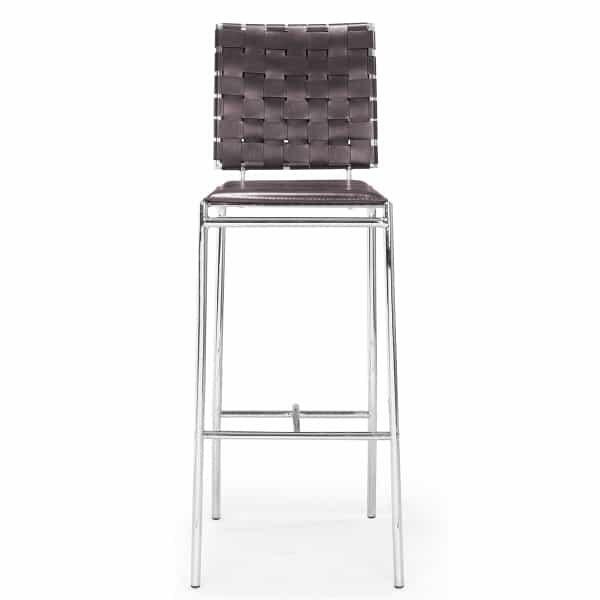 The Chrome plated tubular frame and cross strap design make this designer bar stool perfect for many different settings and decor. 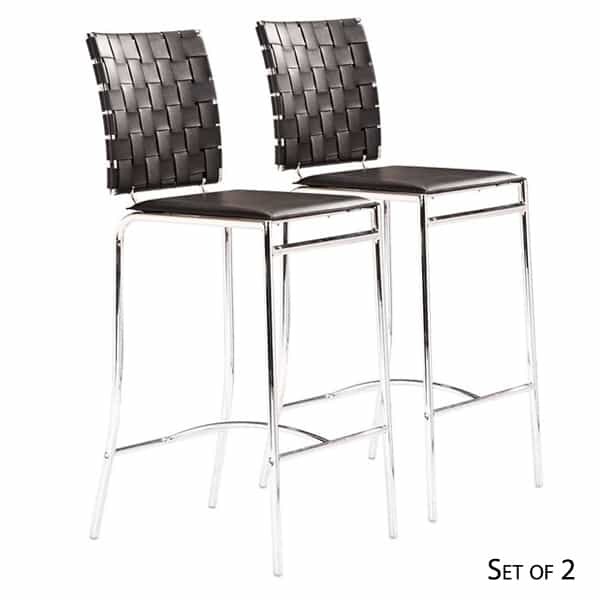 Clean lines and sleek styling would add an upscale look to a modern kitchen or placed around the bar in the basement. 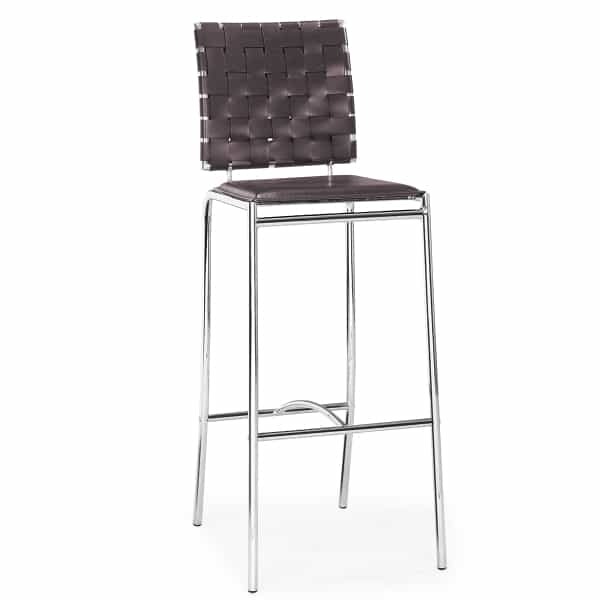 Zuo Modern manufactures their bar stools using only the highest quality materials and their design teams create some of the finest looks in the industry. 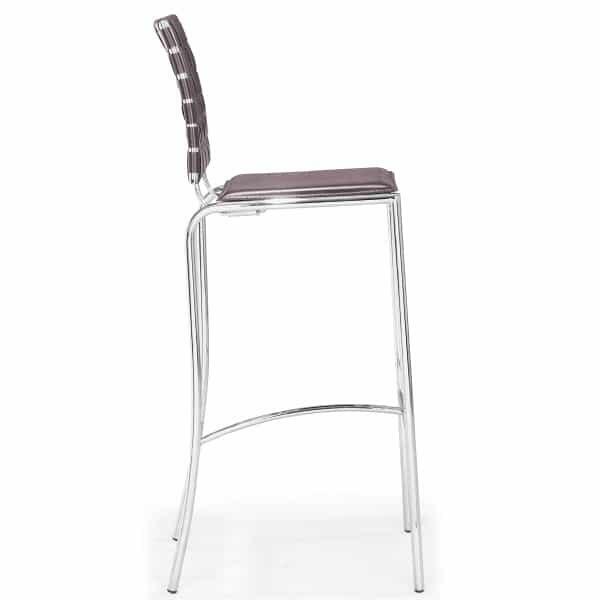 Family Leisure offers free shipping on all bar stools and we strive to provide only the best in customer service. 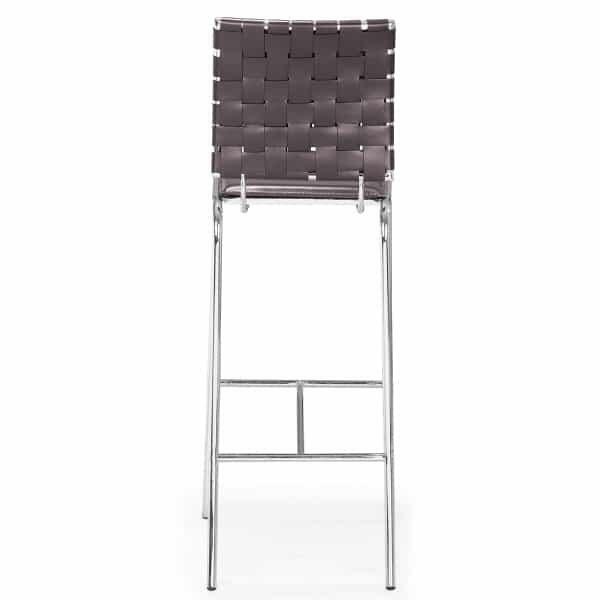 Footprint - W15" x D19"